BATON ROUGE, LA (WAFB) - The WAFB 9STORM team said the area of disturbed weather in the Gulf of Mexico tied to the remnants of Isaac remains poorly organized and the system should be carried to the east of Louisiana by Saturday's cool front. According to the National Hurricane Center, the area of low pressure was nearly stationary early Friday morning. It was located about 60 miles southeast of the mouth of the Mississippi River. 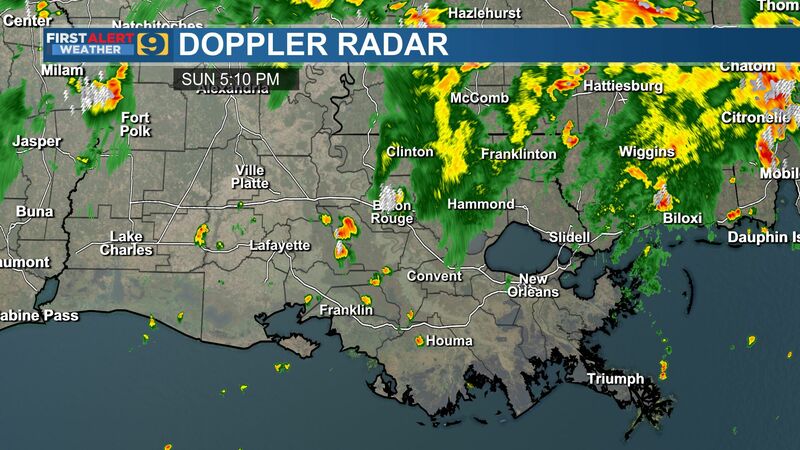 Forecasters said it continues to produce disorganized showers and thunderstorms well to the southwest of the center. They added environmental conditions are not expected to become significantly more favorable. However, they still gave it a 30 percent chance of developing into a tropical cyclone during the next two days.